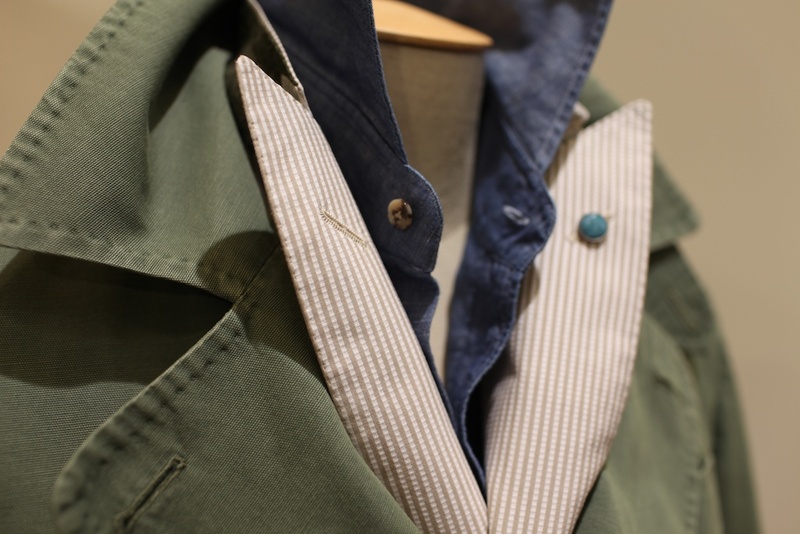 Wants & Desires | Eidos Spring Summer 2014 | A Continuous Lean. 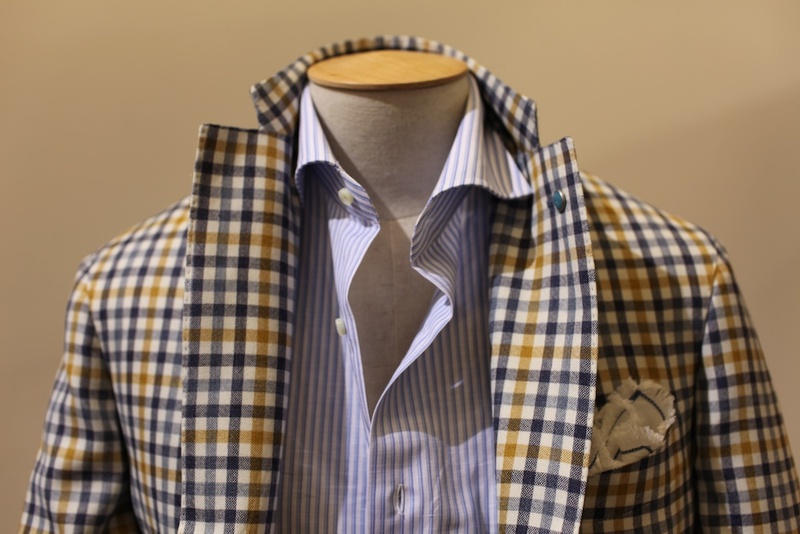 Launched this fall, Eidos is a recent addition to the Isaia family. 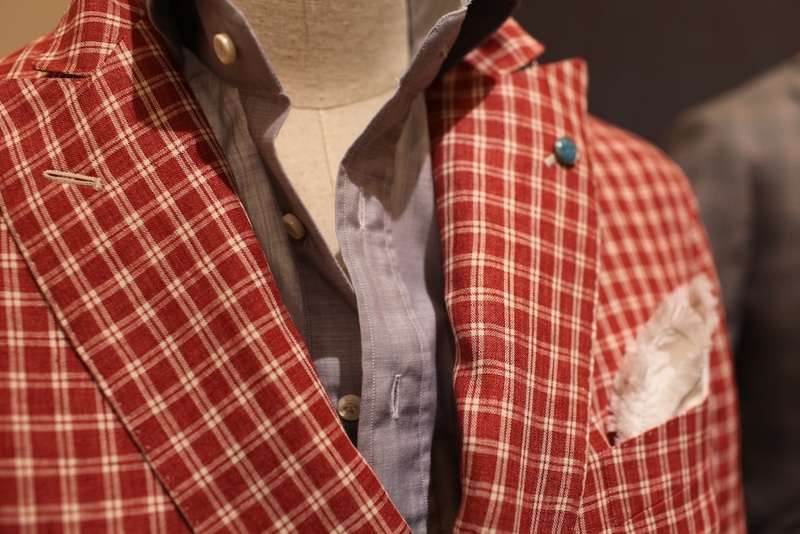 The collection represents much of the Italian style that has ascended Isaia to cult status among those with an appreciation for fine tailoring. Though similar to its older sibling, the collection is focused more on a younger guy. Not to say that the target is young per se, Eidos is for those that love what Isaia offers in terms of style, but hasn’t necessarily graduated to that level quite yet. 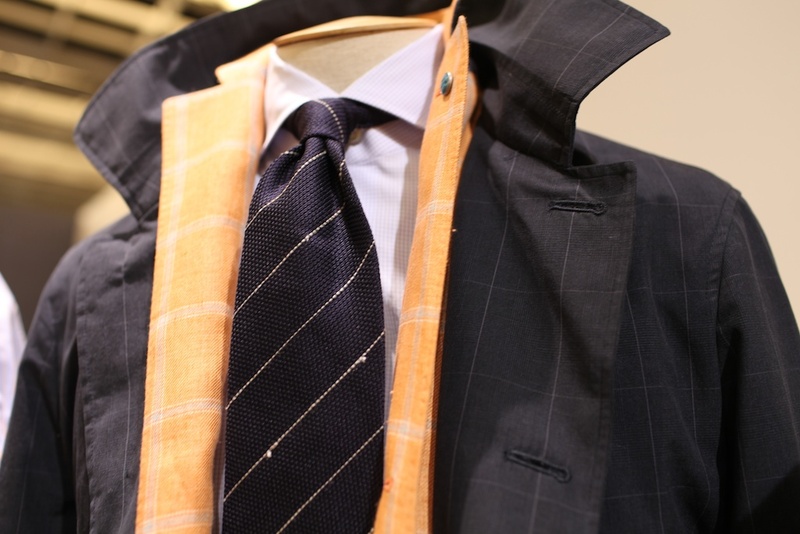 The good news is, Eidos is priced below main-line Isaia and there’s not huge a sacrifice of quality. The collection is made entirely in Italy at another of company’s factories that is located between Naples and Rome. The higher-priced Isaia collection is made entirely at company’s original manufacture (which played host to me a while back) just outside of Naples. 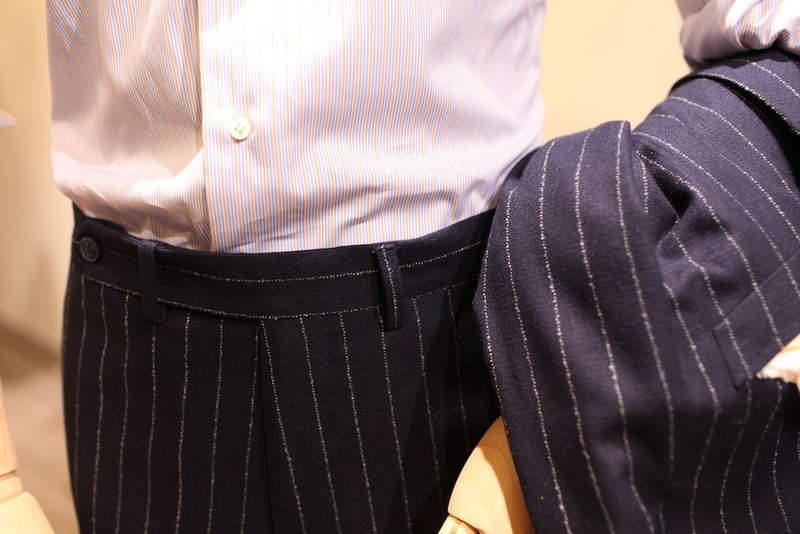 Regardless of where they are made, both offer great tailoring that is made with a high level of attention to detail. 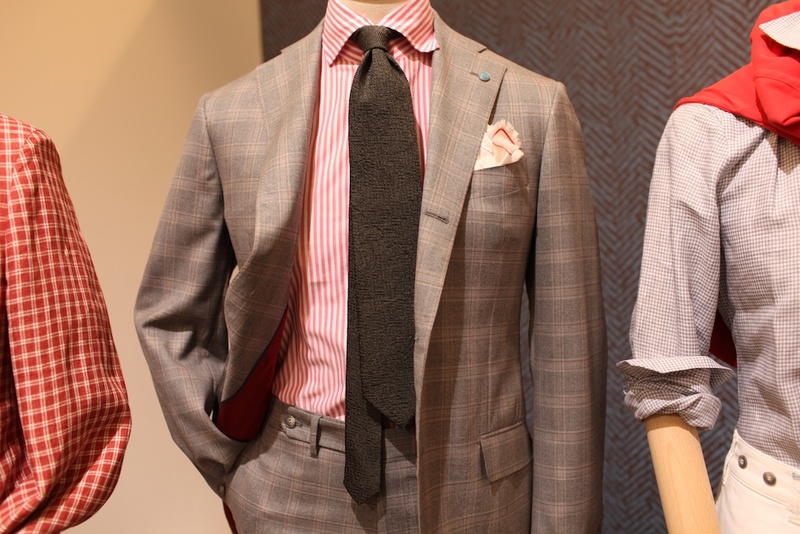 The guy who wears Isaia would certainly want to wear this clothing as well, but the concept for this collection is a bit different than the main line. Eidos is also an entry point for the guy who isn’t ready to step up to Isaia. Designed in New York by Creative Director Antonio Ciongoli, both he and the collection have seen flourishes of interest around SS14 by both the stores and the blogs. 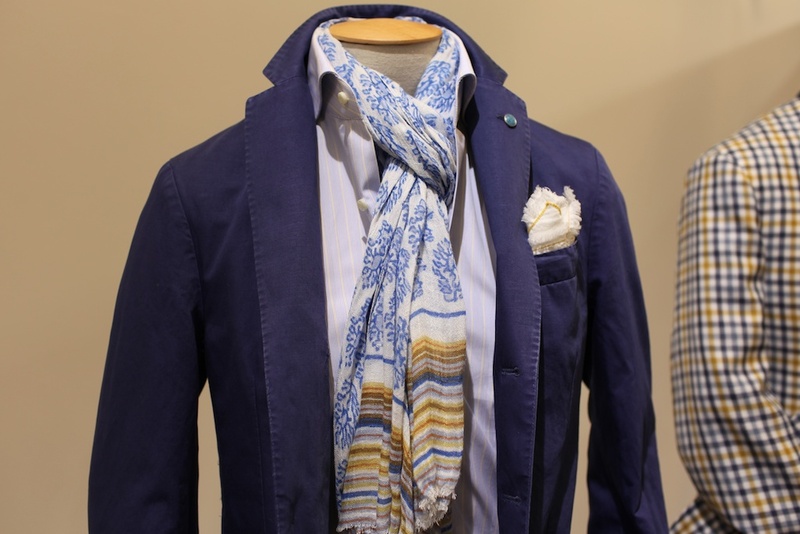 Style wise, it’s a bit of a departure for what you normally see from Isaia, though it is right in step with how I see a lot of guys dressing these days. The collection is very Italian, but it also seems to have incorporated elements of American inspiration. The story of SS14 represents that narrative fairly well, with Ciongoli basing the inspiration for the SS14 season on the idea of a young man’s first trip to Rome. The collection is already in stores this fall, though in a smaller way than what I expect to see this coming spring. 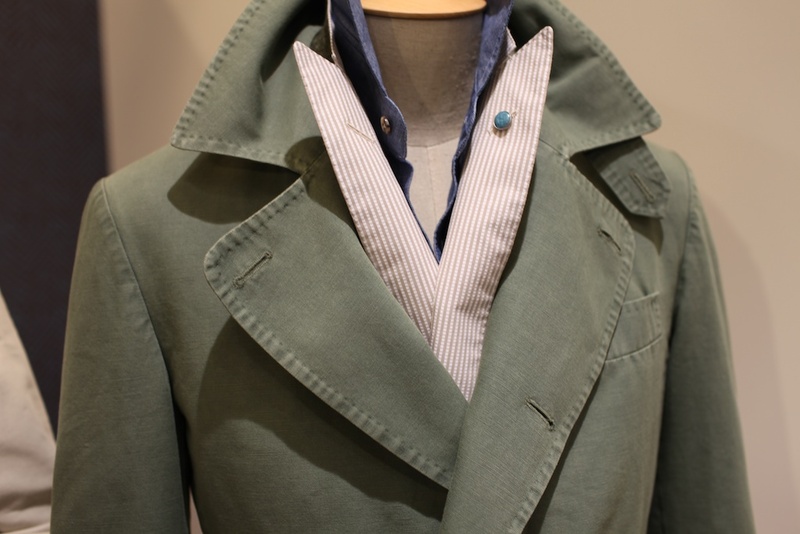 Judging from the response the collection got at Pitti, I’m expecting to be on a first name basis with Eidos. Further reading: Eidos Q&A and Fall 2013 on Esquire. So… how do we get a hold of this stuff? Where is it going to be sold? I believe it will be available at Carson Street Clothiers among others. I’m checking. 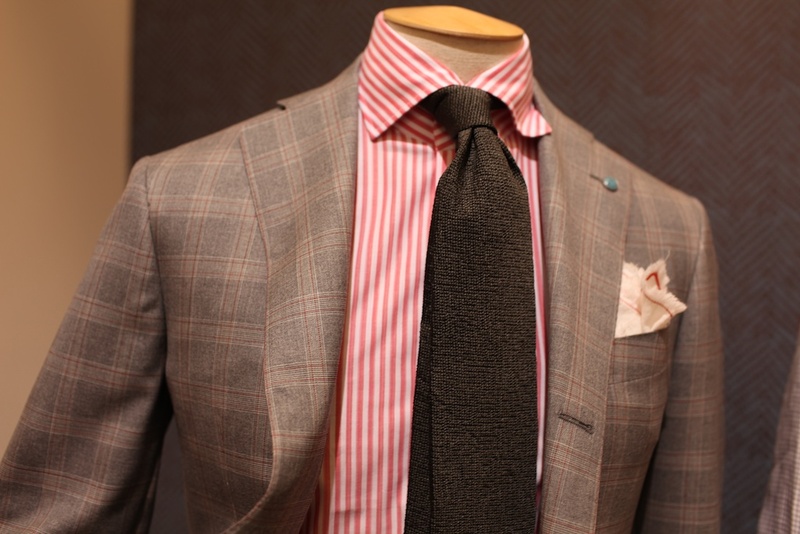 The guys at Carson Street Clothiers also told me that they would be carrying the label, including some very nice suits. I’m into it, maybe it appeals as I’m probably in the age range but not quite living the high life. 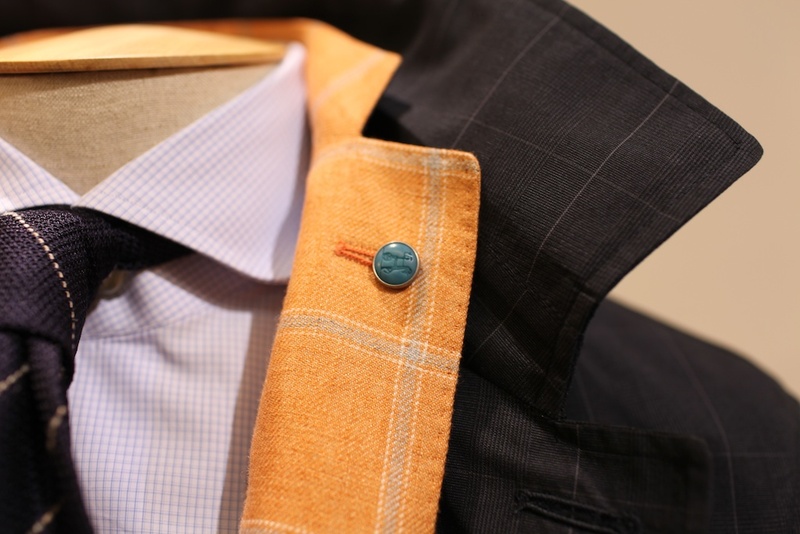 Are lapels widening? These sure look wider. If youre in the NYC area you can find it at Carson St., CHCM and Bloomingdales (NYC and SF). Carson and CHCM will both also have their offerings online. Fall will also be offered at Boyd’s in Philadelphia, J3 outside Clevland, Lawrence Covell in Denver, Pockets in Dallas, Syd Jerome in Chicago and Got Style in Toronto. Distribution will grow substantially for the spring product featured above. Antonio is the man, doing an amazing job! That first look is amazing. I looked at Carson Street and CHCM for the coat and tie. Does anyone know where I could find those?